Built on reputation of excellence of service and quality of equipment. 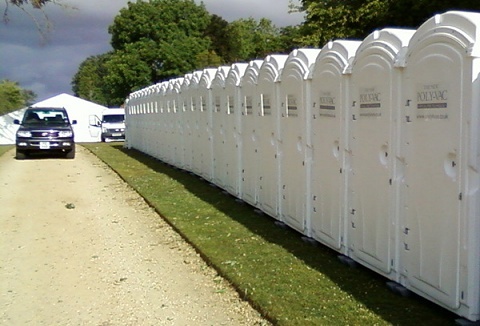 Whatever your event type we have the solutions to provide the finest portable sanitation systems available. From luxury & standard portable toilet units & trailers we have the answer. Whatever your requirements, we can provide a loo to suit. 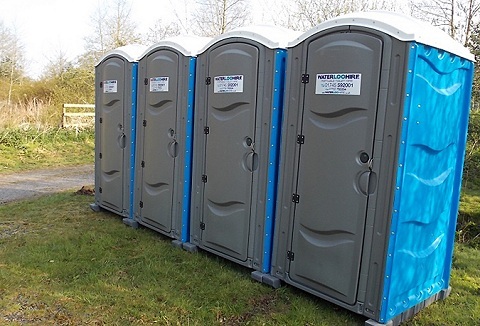 We hire a comprehensive range of portable toilets and welfare facilities from standard chemical toilets, hot water wash stations, standard and luxury trailer toilets and portable shower trailers. All our units are of a high standard and are fully self-contained flushing units serviced and maintained ourselves. We have a wide range of toilet facilities and services for hire that will meet your needs, be it an event or concert, private party. We supply single portable toilets, 'VIP' units, accessible portable disabled toilets, urinal units and hot hand-wash stations where the convenience of a portable toilet or urinal block is required. Available for corporate & VIP events, weddings & events. 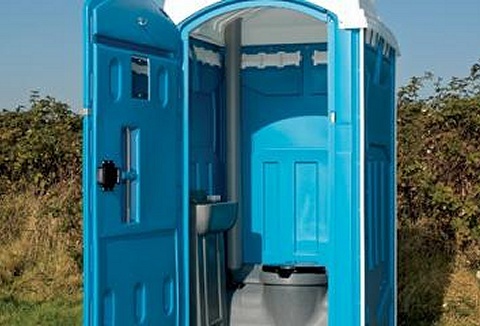 We offer a portable mobile toilet hire service with a range from the single toilet with flush and hand basin to the luxury mobile toilet that can accomodate upto 7 people, disabled toilets with state of the art access. Delivered and installed by our team. 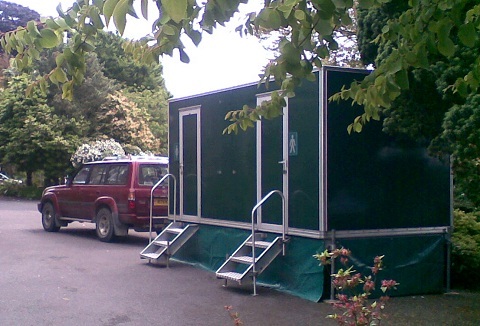 We offer portable toilet and shower hire throughout Wales. 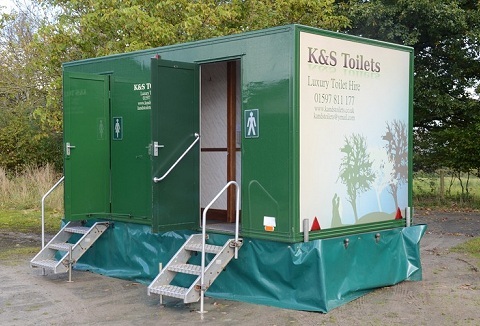 Whether you are organising an event, planning your wedding, arranging a family or corporate function we supply portable toilet and shower solutions backed by personal and professional service. 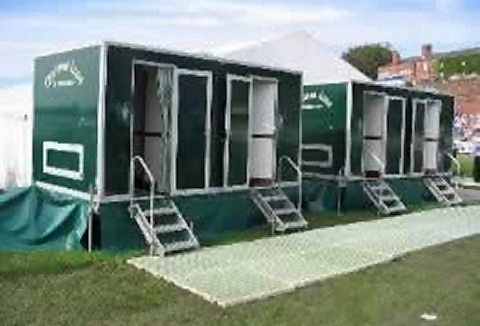 Portable toilet hire company offering self-contained toilets for events and functions. 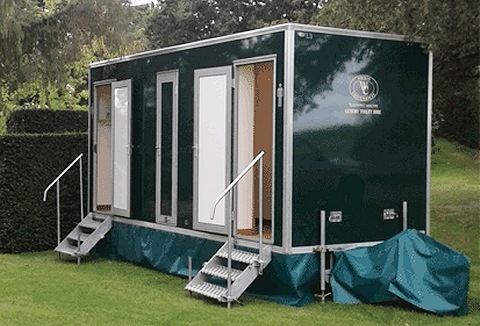 Portable toilet range includes; luxury & wedding trailer toilets, mobile event toilets from singles to trailers, disabled, portable urinals & portable shower trailers. 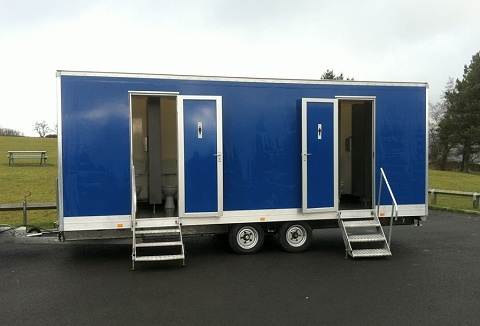 Our mobile luxury toilet trailer hire service is a complete solution with fully self contained toilet units of the highest standard. An attendant service is available to maintain the constant cleanliness of the facility and re stock throughout your event. 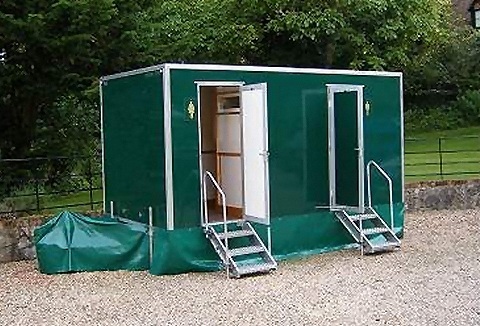 We specialise in leasing portable toilet blocks, shower units and litter bins for outdoor events in Mid Wales. Choose from portable single loos, large multiple toilet units, lavishly decorated luxury toilet trailers and shower units at competitive prices.